Monash Sport operates Hockey Facilities at the Monash University Clayton and Peninsula campuses. Clayton campus has an international standard water based synthetic hockey pitch including a pavilion with change rooms, social room and bar. The pitch and/or pavilion is available for hire for 7 days per week subject to availability. 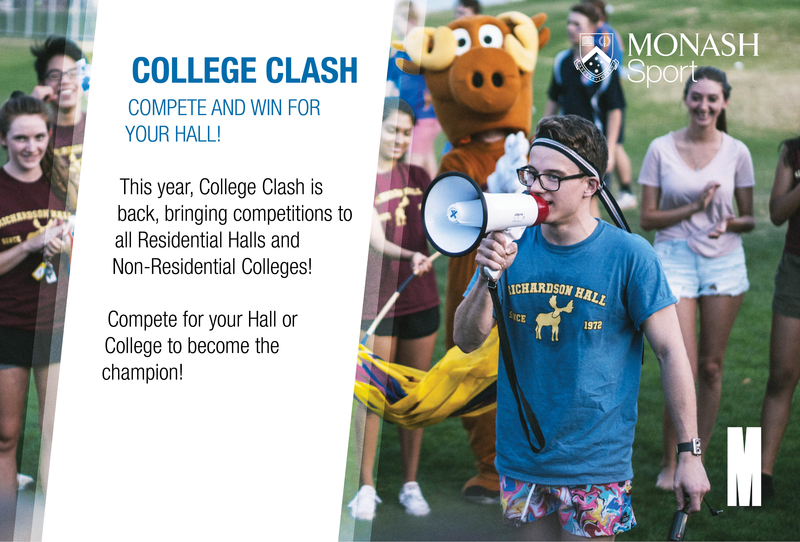 For bookings and enquiries call 9905 4102 or email Sport-bookings@monash.edu during business hours. The Clayton Hockey Pitch is home to the Monash University Hockey Club. The Peninsula Hockey Centre is a 6,400m2 sand filled synthetic pitch with international game standard lighting. The Centre was established on the Monash University Peninsula Campus site in Frankston in early 2002. Funding of $1.1 million to construct the facility was contributed by Frankston City Council, Mornington Peninsula Shire, Sports and Recreation Victoria, Monash University, Monash Student Union (MONSU) and local hockey clubs. The centre is home to three local hockey clubs: Frankston Hockey Club, Mornington Peninsula Hockey Club and Peninsula Women's Hockey Association, as well as being home to the Monash Peninsula Soccer Club. The Centre is available for casual and school usage. The Peninsula Hockey Centre is also a multipurpose facility and has been used by other sports such as Cricket, Gridiron, Lacrosse, Rugby, Soccer and Touch. For bookings and enquiries call Monash Sport on 9904 4413 or email Hockey.Centre@sport.monash.edu.au during business hours. The Frankston Hockey Club (FHC), established in 1973 is a regional based hockey club located on the Mornington Peninsula in Victoria catering for junior, senior and veteran players. "A family club dedicated to promoting and developing hockey on the Mornington Peninsula".